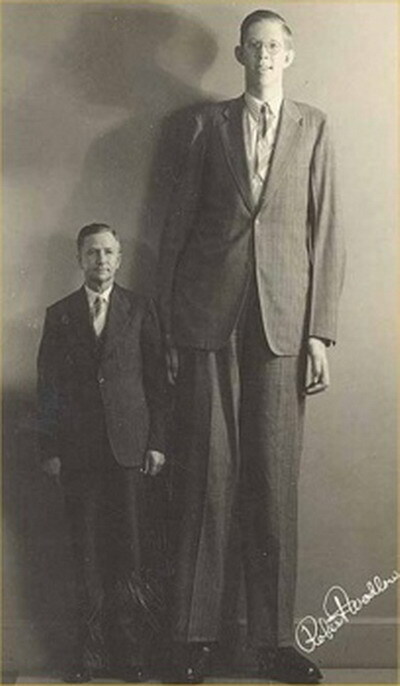 1.Robert Wadlow, 8 '11.1 "
Robert Wadlow is the tallest in the history of human giants. He often referred to as the Alton giant because he came from Alton, Illinois. At the time of his death he weighed 440 pounds and showed no signs of stopping growing. He was born in 1918, the oldest of five children. He died at the age of 22 years due to an infection caused by a blister on the ankle. His coffin was weighed half a ton and required 12 pallbearers to carry. He was buried in a solid concrete dome. 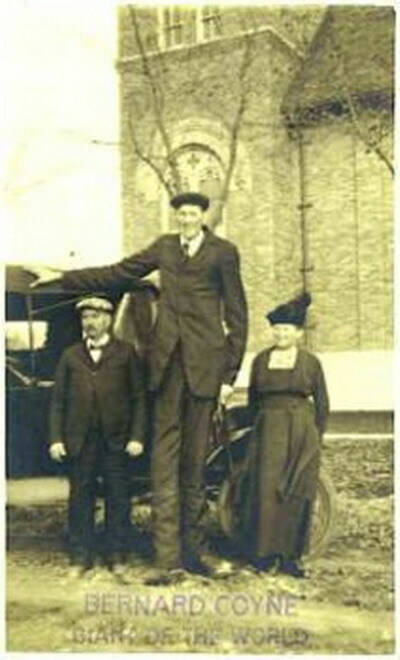 2.Johan Aason, 8 '9-1/4 "
Johan was born in America a few years after his mother moved from Norway. Interestingly she is also a giant with a height 7'2 ". 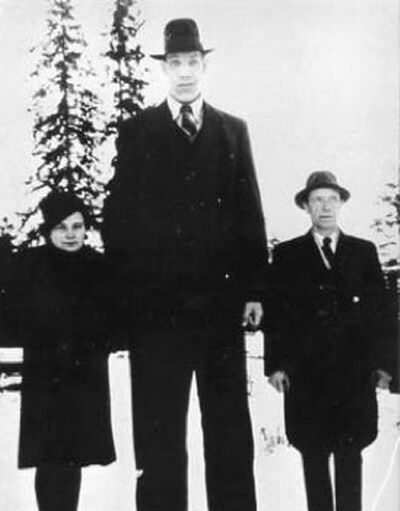 According to his death certificate from the Mendocino Hospital, at the time of death listed her height 9'2 "- if this is true, then he is the tallest man in the world throughout history. He was buried in Montana. 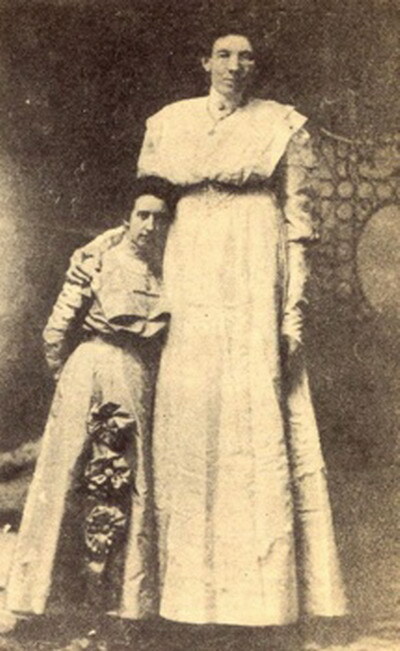 John Rogan was born in 1868 and he grew normally until age 13 tahun.tingginya recorded until he dies is 8'9 ". Because of illness he weighed only 175 pounds. He died in 1905 from complications of the disease. 4.John F Carroll, 8'7 "
John Carroll (born 1932) was born in Buffalo, New York and known as the Buffalo giant. Although many medical treatments, he grew up in a very fast rate. He grew seven inches in a few months. He died in 1969 and at that time was not recorded at the time ketinggianya died, yet believed that he had nearly nine feet in height. Leonid Stadnyk was born in 1971 in Ukraine. He is a registered veterinary surgeon and lives with his mother. He is currently listed as the tallest man according to Guinness Book of Records. Ukraine group of businessmen donated satellite dish and a computer to Stadnyk and now he has Internet access. 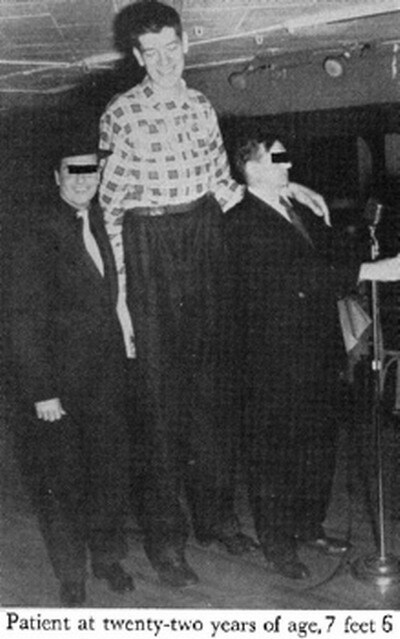 6.Al Tomaini, 8'4 .5 "
Al Tomaini was a giant who claimed a height of 8'4 "(though the Guinness Book of Records stated that he was 7'4"). 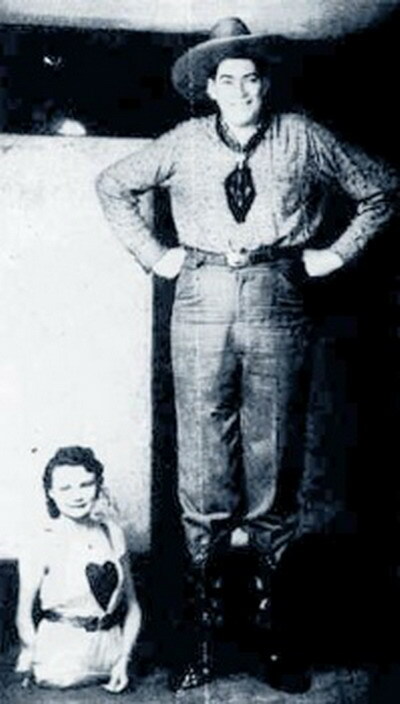 Weighing 356 pounds (162 kg) and wearing size 27 shoes, Al spent most of his life as a circus giant. He worked with the circus at the Great Lakes Exposition in Chicago, in 1936, when he met the woman who later became his wife, Jeanie Tomaini. Jeanie was born without legs and was only 2 ft 6 in (76 cm). After retiring from the circus, he and Jeanie settled in the circus community of Giant's Camp, Gibsonton, Florida. Ella Ewing was born in Missouri in 1872. He was known as a 'veterinary surgeon. She grew normally until age 7, at which time he began to grow pesat.karena lack of records he is not listed in the Guinness Book of Records. 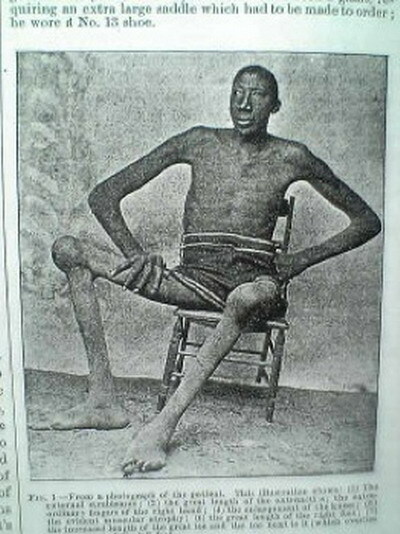 He had the opportunity to display the odd side until he died in 1913 of tuberculosis. Edouard Beaupre, born in 1881, is strong, and stars in the Barnum and Baileys. He is the eldest of 20 siblings and was born in Canada. when she was nine years old has reached 6 feet tall. His death certificate shows he has a height 8'3 "and still growing. As a strong man, then this feature Crouching down and blocking the appointment of a horse on the shoulder. He reportedly picked up a horse weighing 900 pounds. He died in 1904 of tuberculosis. Myllyrinne was born in Finland in 1909. At one point he was officially dubbed the world's human tetinggi. 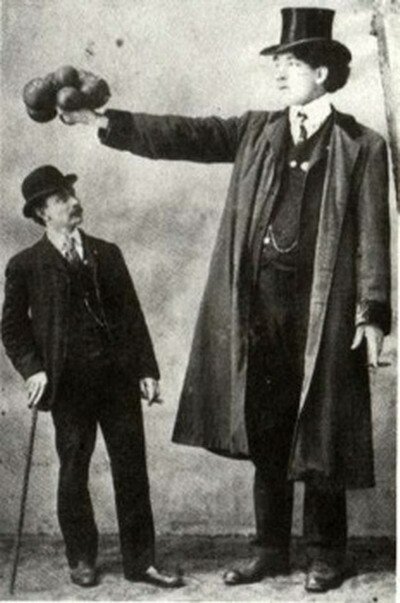 At age 21 height reaches 7 feet 3.5 inches, and weighed 31 stone. He experienced another growth after the attack that led to the final height of 8 feet 3 inches. He died in 1963. Coyne was born in 1897 in Iowa, USA. The world of 1918 has recorded a height 8 feet. Guinness record book entries stated that he refused to go to war because he was tall. 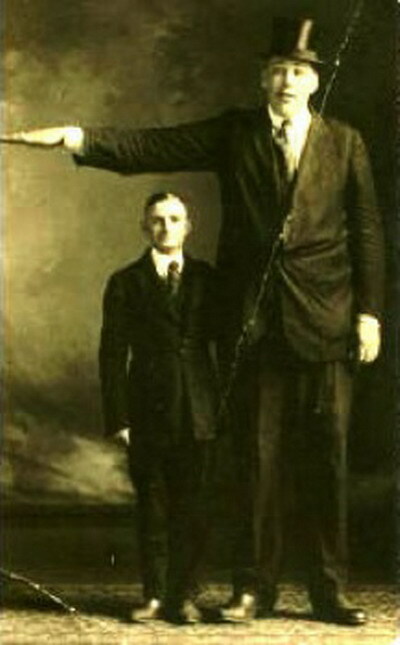 At the time of his death that he might have reached the height of 8 feet 4 inches. He died in 1921 due to liver disease and problems with glands. He was buried at his birthplace, his coffin specially made with extra-large sizes.